Incorporating AI into your business or organization is no small feat. You absolutely must start with a concrete understanding of data science, and then work your way into AI. For a strong organizational understanding of data science, you need a team of knowledgeable, innovative data scientists or engineers, but the market just doesn’t have enough of them available to make this a reality just yet. 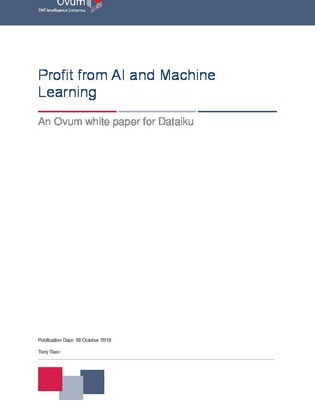 So, how can you make AI profitable in your organization? Read this Ovum Consulting report to find out.